From one-person food truck businesses to major corporate mobile food empires, bookkeeping is a significant part of any mobile business endeavor. While it is typically not one of the more glamorous jobs, bookkeeping is at the heart of a food truck’s success, and common bookkeeping mistakes can cost your business significantly. Doing it Yourself. 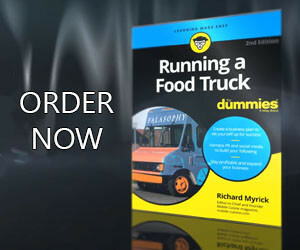 No matter how much they hate it, many food truck owners insist upon handling the books themselves. Having a competent bookkeeper coming in to handle the books can be extremely beneficial in that they have the skills to do the job quickly and efficiently and will provide a second pair of eyes to find errors and make suggestions. Sales Tax. A common mistake in the mobile food industry is not deducting the sales tax from the total sales. This results in a higher total sales amount and does not lower the amount of taxes due. 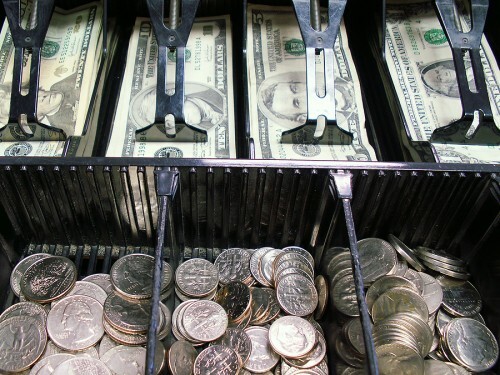 Petty Cash. A system should be set up whereby a set amount of money is in petty cash and each time money is taken out whatever the reason, a petty cash slip must be filled out. When the fund is exhausted, the slips will total the original amount and a check can be written to cash to set up the full amount again. Many small businesses are nonchalant about using the petty cash fund without keeping accurate records. Communication. Having someone handling bookkeeping is only effective if they are filled in and kept up to date on all of your food truck’s business financial transactions. A frequent mistake is buying food or supplies and not providing the bookkeeper with this information or receipts. Reconciling Books. One of the fundamental aspects of bookkeeping is reconciling the books and bank statements every month. Nonetheless, many mobile food businesses do not do take this step at all or make errors by not doing it properly. This is one more reason for hiring an experienced bookkeeper. Backup. The paperless office does not exist in the real world, where audits do still exist. A paper trail, documentation or verification in the form of backup documents should be available, especially if you keep all of your food truck business files on your computer system. Categorization. There are fairly standard categories for expenses in the food truck industry. However, often expenses are entered into the wrong categories or too many categories are created. Use general bookkeeping guidelines for standard categorization and create as few new categories as possible.